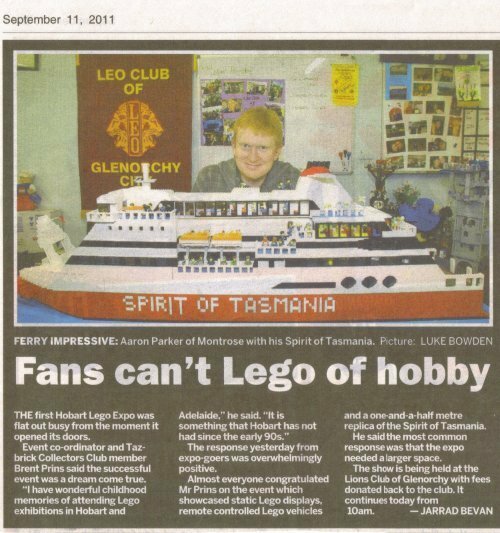 The 1st Hobart Brick Expo was a LEGO display in Hobart, Tasmania, Australia organized by the TAZ-Brick Collectors Club. On the Saturday there was 500 visitors, on the Sunday there was 1000! Check out some time-lapse footage of the event. (1 picture per minute.) Shortly after it made the local newspaper! Copyright © 2019 Just Another Brick Blog. Powered by WordPress and Stargazer.